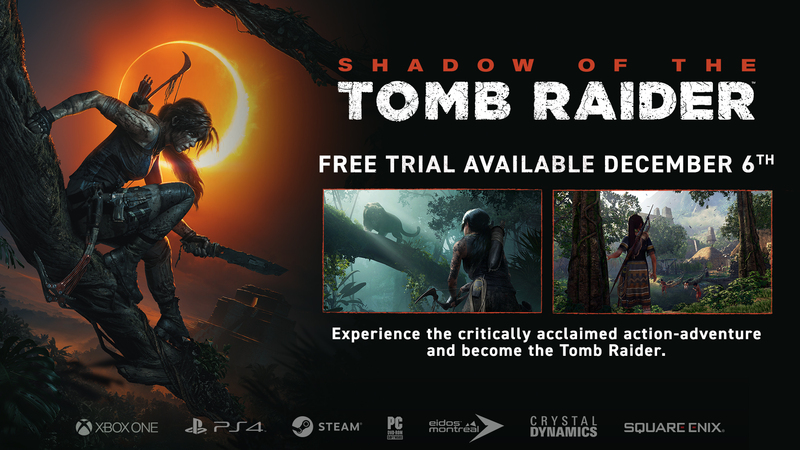 In the Free Trial for Shadow of the Tomb Raider, you will have full access to the opening levels of the critically acclaimed action-adventure. You'll be able to carry over your progress and achievements/trophies when unlocking the full game. The free trial is now available on the Xbox Live, PlayStation Store and Steam!